Travel + Leisure Magazine, a popular US-based travel magazine, has officially awarded the island of Palawan as the "Overall Top Island" and "Top Island in Asia" for 2013. The awards were given at the Travel + Leisure World’s Best Awards held in New York City on July 18th. This was the first time for Palawan to be a part of the magazine’s list, and placing second to Palawan in both the "Overall Top Island" and the "Top Island in Asia" categories was Boracay, winner of the 2012 "Top Island Award". Last year, Palawan caught the attention of the international travel community when its famous tourist attraction, the Puerto Princesa Underground River, was named one of the new seven wonders of nature. Other islands in the top 10 list were Kauai, Hawaii; Bali, Indonesia; Sicily, Italy; Koh Samui, Thailand; and the Galapagos Islands in Ecuador. 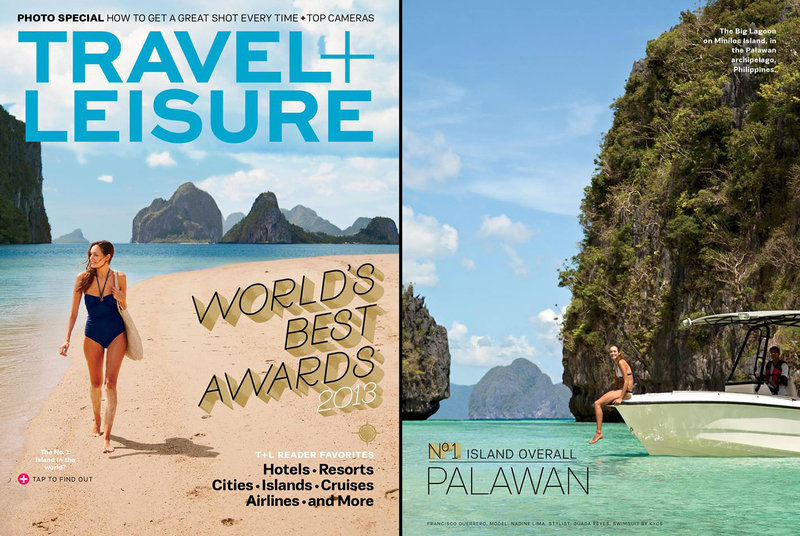 Even more, El Nido Resorts (in Palawan) was chosen to be on the cover of the August 2013 issue of Travel + Leisure magazine, and Discovery Shores Resort (in Boracay) was chosen as "Top Hotel Spa in Asia" and "Top Family Hotel in Asia". All of the winners were chosen via a survey of travelers from Dec. 1, 2012 to April 1, 2013, where participants were asked to rate their experiences based on hotels, cities, islands, cruise ships, tour operators, and other factors.